Swiss Emporium's own master watchmakers bring their extensive experience to ensure the accuracy and longevity of your timepieces. In the heart of Melbourne, we offer professional servicing, repairs, battery replacement, restoration and more for all Swiss Watch brands. We are devoted to the care of your timepieces. Bring your watch in-store for a watchmaker's report/assessment and a quote for works requested, our expert consultants will talk you through the suggested actions and communicate your requests and requirements to your dedicated watchmaker. Regulation Ensure your mechanical timepiece is beating accurately. 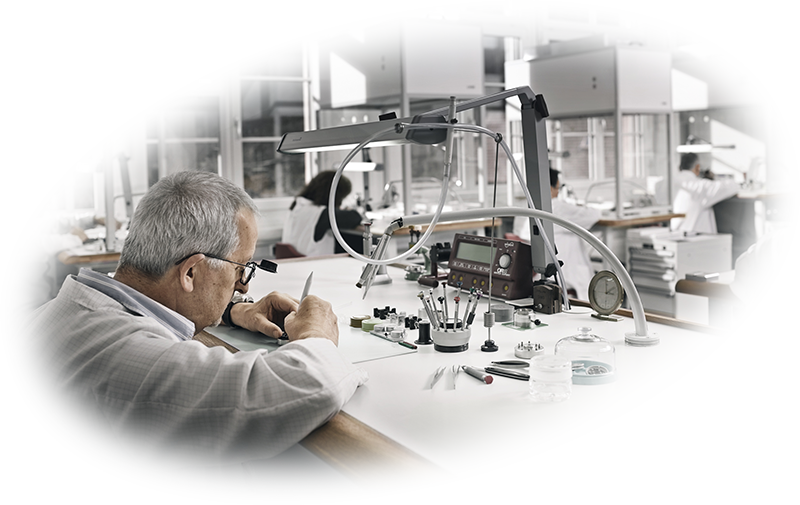 Our watchmakers are adept in regulating the escapements of finely crafted Swiss movements. Battery Replacement Providing power to the crystal that regulates your quartz watch is a battery. Our watchmakers skilfully replace depleted batteries and ensure continued and accurate functionality. Strap & Bracelet Adjustments For a perfect fit to your wrist, the Swiss Emporium team will ensure the comfortable adjustment of your strap or metal bracelet. Our team can also assist in obtaining additional links or replacement straps as required. Cleaning & Polishing We offer expert ultrasonic cleaning of watch bracelets and case components to remove dirt from all joins and crevices. Our team are adept in polishing and buffing watches constructed of steel, gold and platinum to remove scratches and restore finishes. Water Resistance Testing Our watchmakers ensure that the inscription on your watch is as correct as when it was first crafted through careful water resistance testing.